WHAT IS THE LENGTH OF THE PRESCHOOL DAY? Preschool hours are from 9:00 AM–1:00 PM, with extended care available both before and after school. 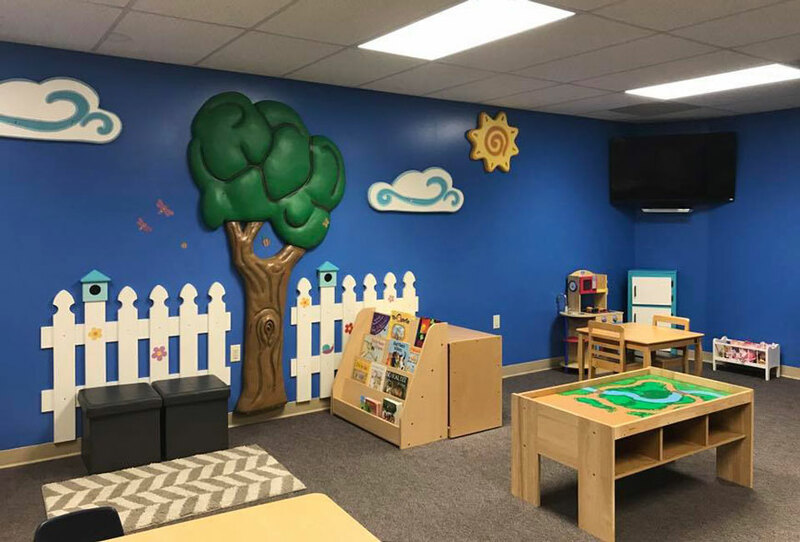 Friends Christian Preschool provides a safe, nurturing environment and Christian teachers who love helping your children learn and grow. Our qualified staff is dedicated to providing an academically stimulating and developmentally balanced program that is firmly rooted in the truth of God’s Word. The purpose of each activity is to help children grow in all areas, nurturing them spiritually, cognitively, emotionally, physically and socially. The children at Friends Christian Preschool learn by doing. Our students learn to follow the example of Jesus and form their character in His image. During playtime activities inside the classroom and outside, the children develop lasting friendships based on biblical principals. Students at Friends Christian Preschool focus on a character trait each week during the school year. Students who embrace the character trait each week are recognized in front of their peers during Chapel. Music appreciation is fostered through our wonderful music class, which includes a cozy composer time and an introduction to different musical instruments. Extended care is available from 8:00am to 9:00 a.m. and 1:00p.m. to 4:00p.m. Occasional use of Extended Care is $5.50 per hour or any part of an hour. CAN WE TOUR THE PRESCHOOL? Yes! You are welcome to tour anytime between 9:00 AM and 4:00 PM, Monday through Friday. If you would like to schedule a visit, call either preschool office, or click here. You are also welcome to come without scheduling a tour in advance. If you would like to see a specific activity such as music, chapel, or a science lesson, we recommend calling so we can let you know when those activities are scheduled.